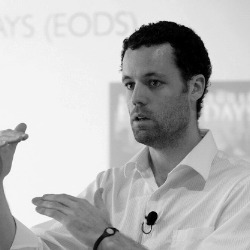 Australian entrepreneur and productivity guru Pete Williams will attempt to complete a full week's worth of work in under 6 hours, reports StrategicProfitsFormula.com. The entire event will be streamed live over the Internet to those who want to see how Williams is able to run four companies, create information products in minutes instead of months, and still have time to train for Iron Man competitions. Any business owner or entrepreneur interested in getting more profitable work done in less time should watch this live event. What I learned during the last event has saved me hours and hours of time. Profit Hacks creator and productivity guru, Pete Williams, has accepted a challenge to complete a full 40 hours of work in 6 hours or less. The event will be broadcast live over the Internet and a limited number of seats will be available for those wishing to tune in during the event. Pete Williams has commonly been referred to as the "Richard Branson of Australia" by the Australian media. He runs over 4 online and offline companies while maintaining an active personal life and while training for the Iron Man Competition. Aspiring and existing online business owners will find this challenge to be particularly interesting because Williams will be creating information products he can sell immediately, filming videos, writing blog posts and guest blog posts, answering emails, recording podcasts, creating marketing materials, driving traffic and posting in forums all in 6 hours or less. Anyone who is interested in creating information products, videos, or training programs online in minutes instead of months stands to benefit from this live event. "If you are an online business owner, if you want to use the Internet to generate more authority, or to drive leads to your business, then watching this challenge will show you how you can have peace of mind at the end of your day, knowing you've done everything you needed to do." said Ayers of StrategicProfitsFormula.com, who prepared a review of William's Profit Hacks course. The event will take place at 3 PM EST on Thursday, November 8th, 2012. Those interested in attending should visit the official site here to register.